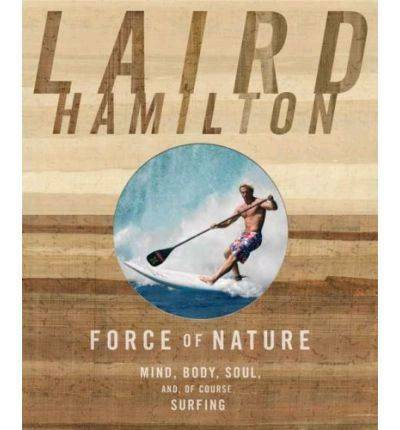 Check out Laird Hamiltons book, 'force of nature' should make for an interesting read. I got it for Christmas. It is not a bad read, calls on some commentry from a few people like Dave Kalama and Gerry Lopez. It doesn't get too deep but reinforces alot of things that you might have forgottoen. I am a Laird fan so I enjoyed it. I got it about 18 months ago and still haven't got around to reading it. I have had this book for a couple of years now. It (or Laird) was instrumental in me returning from a broken back suffered in a surfing accident. It is truly inspirational stuff and directly led me to SUP surfing. Naaar.. .. I just looked at the pictures.. It's more a health/fitness/diet type book.